Please post MF/Residual for a 2016 Mazda3 sGT hatchback in NV for 36/15K. 2016 Mazda3 s Grand Touring (4 door) MT - .00001 and 59% for 33/12. 2015 Mazda3 s Touring (4 door) MT - .00001 and 50% for 36/12. $1275 lease cash. .00001 MF for all trims, both lease terms. 12,000 miles a year for Buffalo NY. Oh and if there is any lease cash. Thanks! Looking to lease a 2015 or 2016 3i Sport or iTouring, 33 month or 36 month with 15miles per year in Maryland. Please provide MF, Residuals and lease incentives. Should have clarified that I need it for the Sedan and Automatic transmission. This is the current advertised special $229 base payment, no money down. Please provide MF, Residuals and lease incentives. 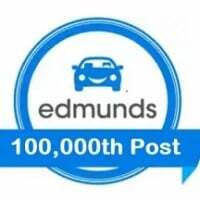 I am using the Edmunds lease calculator for $20,415 MSRP and $11,636.55 Residual, 0.00013 MF, 39 months, $595 acquisition, $0 Title Reg Fees. I get Loan amount $21,010, Monthly Payment $260. They are advertising $229, 0 down on Mazda USA. What am I missing? Thank you! You are missing the discount from MSRP. The advertised lease assumes some sort of discount on the vehicle. Actually what I was missing is the Edmunds lease calculator automatically adds the tax from the zip at the top, so the advertised base payment is from MSRP of the car. 2016 Mazda3 iSport 4 Door Automatic Transmission 39 months 10K month, Pa. Please provide MF and Residuals. .00001 MF and 55% residual for 36/12. I got the following offer for a 2016 Mazda iSport 3 Sedan - Automatic with Preferred Package. It's a 39month lease term with 15k miles per year in Maryland. Please let me know if the monthly payment is accurate and if the sales price is good. If I add the sale price, taxes, tags, and processing together, I get $234/mo. Find out what the net cap cost is - if higher than $20,789, ask the dealer what else has been added in. My guess is that it is the bank fee, but it would be good to confirm. He said the net cap cost is $20,789 and there is a $595 Acquisition Fee. Exactly what I figured .. if the acquisition fee is rolled in as well, then the payment works out. 2016 CX-3 Sport Front Wheel Drive Automatic Transmission 39 months 10K month, Pa.